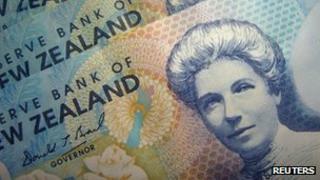 A New Zealand man behind the country's biggest Ponzi scheme has been jailed for 10 years and 10 months. David Ross, 63, admitted four counts of false accounting and one of theft, said the Serious Fraud Office (SFO). The SFO said he had declared false profits of more than 350m New Zealand dollars ($290m; £180m), and more than 1,200 investors had been affected. Ross, a financial adviser based in Wellington, defrauded clients through his Ross Asset Management firm. Judge Denys Barry said Ross was a liar who had betrayed the trust of his clients, causing them "incalculable harm". He said: "It was an enormous web of increasingly complex deceit to maintain the illusion that you were a skilled and trusted benefactor." The SFO began investigations in 2012 when investors could not withdraw their money. SFO director Julie Read said: "More than 1,200 client accounts were affected by Mr Ross' scheme so his offending has had a devastating impact on many lives." A Ponzi scheme is a fraudulent investment scheme that pays existing investors from money put in by new investors.